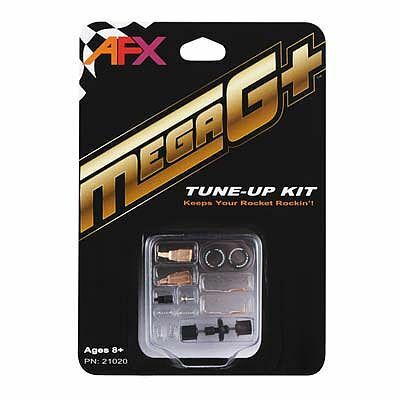 This is the Mega-G+ Tune-Up Kit by AFX. Suitable for Ages 8 & Up. Retail $9.99 SAVE 27% ! One pair of short and one pair of long pick-up shoes included. Rear axle and pinion gear included.